Few of us in Tucson can trace our heritage in this Sonoran Desert region to more than a single generation. That does not mean that we can’t care deeply about Tucson’s four millennia of agrarian history that is now well-documented. So, let’s take a mid-summer break and spend an hour exploring this special place that we call home. First, we will address the basic existential question—why are we here, and not somewhere else, on the landscape? Second, we will trace the history of change over the course of millennia. Third we will consider the places in our downtown area that we can visit at any time—either directly, or in our informed imagination—and contemplate the effect that our deep history has on us today. Tucson’s downtown is an ideal setting to explore two important tenets of Preservation Archaeology. First, archaeological resources are nonrenewable. If they are damaged or destroyed, they are gone forever. Second, archaeological resources embody multiple values. When there is broad community awareness of the meaning and values of places of the past, then the protection of those places becomes a priority. 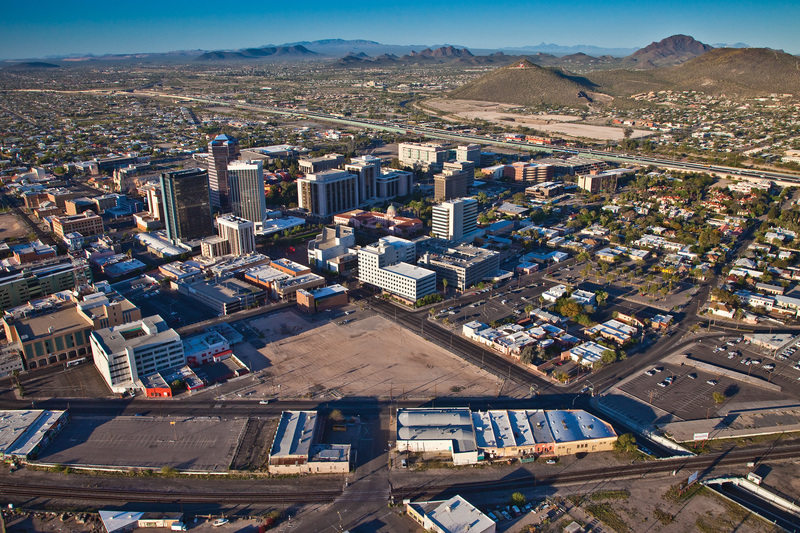 Tucson’s downtown has a history of change. Often processes of change result in threats to our archaeological and historical resources. Some examples of the responses of community members to losses as well as preservation successes will be considered using examples from downtown.